Welcome the autumn season with warm-and-woolly wonders from the best-selling author of A Change of Seasons. Start with classic patchwork projects in harvest hues, including lap quilts, pillows, and runners. Then delight in playful nods to the lighter side of the season--grinning cats, squirrels, jack-o'-lanterns, and more will inspire smiles all season long. 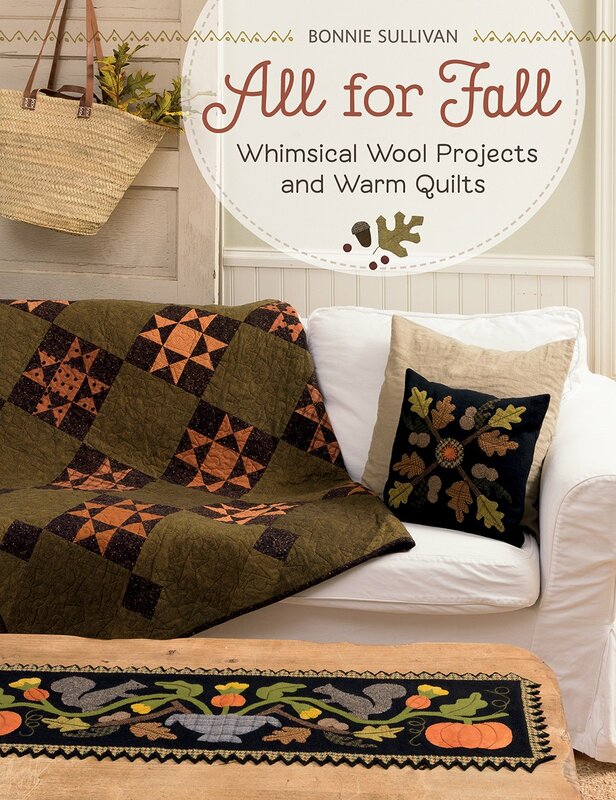 Made with a mix of crisp cottons, warm wools, and Bonnie Sullivan's Woolies flannels, these pieced and appliqued projects will make friends and family fall . . . for fall! Full-sized patterns included.